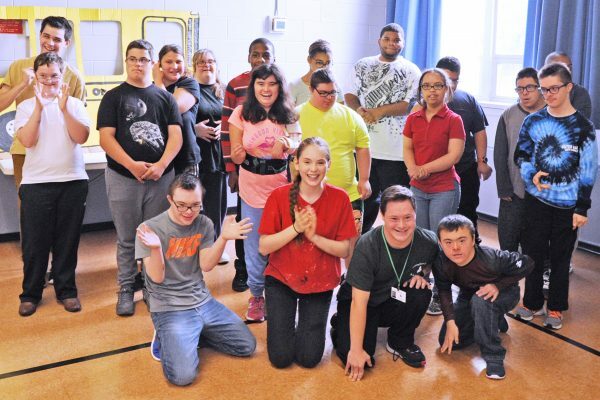 Autumn de Forest, a 16-year-old artist, visited Archbishop Damiano School in Westville Grove last week, providing students the “opportunity to express creativity without limitation,” as school Principal Kate Flynn said. Autumn is more than a teenager with artistic talent. She received the International Giuseppe Sciacca Award for Painting and Art in 2015, an award given by the Vatican for talented young individuals in the field of art and knowledge, but also serving as positive role models. After receiving the award, she presented Pope Francis with four of her works. She is represented by Park West Gallery and been featured in numerous television shows and print publications, from the Today Show to American Girl Magazine to Forbes. She has reportedly sold millions of dollars worth of paintings. 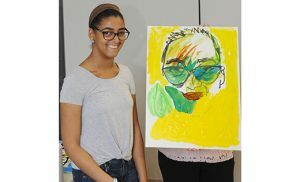 Her Sept. 24 visit to Archbishop Damiano, a school which aids and educates adults and children with disabilities, saw students trace over a photographed headshot of themselves, and then create their own masterpiece portraits with brush and paint. Although she has an artistic family heritage and has been a professional artist for most of her young life, Autumn is self-taught.